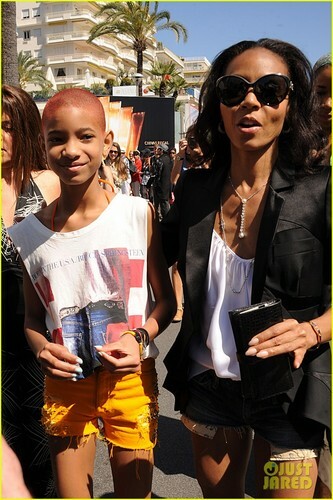 Willow Smith: Cannes with Mom Jada Pinkett!. Willow Smith: Cannes with Mom Jada Pinkett!. HD Wallpaper and background images in the Willow Smith club tagged: willow smith. This Willow Smith photo contains 太阳镜, 墨镜, 色调, and 深色眼镜. There might also be 街道, 城市风貌, 城市环境, 城市场景, 城市设置, and 热裤.